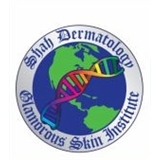 Shah Dermatology (Kissimmee) - Book Appointment Online! Shah Dermatology and Glamorous Skin Institute is full-service, state of the art dermatology practice and cosmetic center dedicated to serving the needs of Central Florida and our community. We offer cutting edge procedures and are constantly researching to offer our clients the best and latest procedures and technology that the medical field has to offer. We offer all sorts of dermatologic services from consultations to surgery. We will also offer a full assortment of cosmetic products, most of which cannot be found in stores, but must be prescribed by a doctor.